Hi guys, thanks for checking out another TM hair products video. 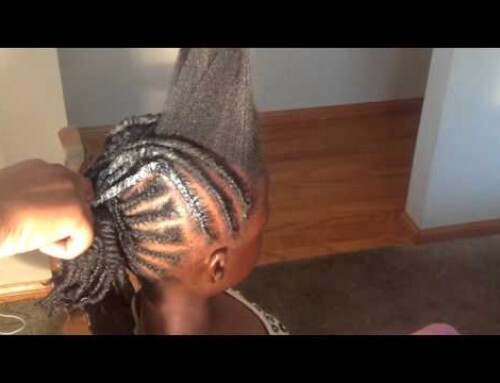 In today’s video, we are going to give her triangle box braids, and triangle box braids are just like square shaped box braids but they are in a triangle. I’ve detangled her hair off camera shampoo and deep conditioned. 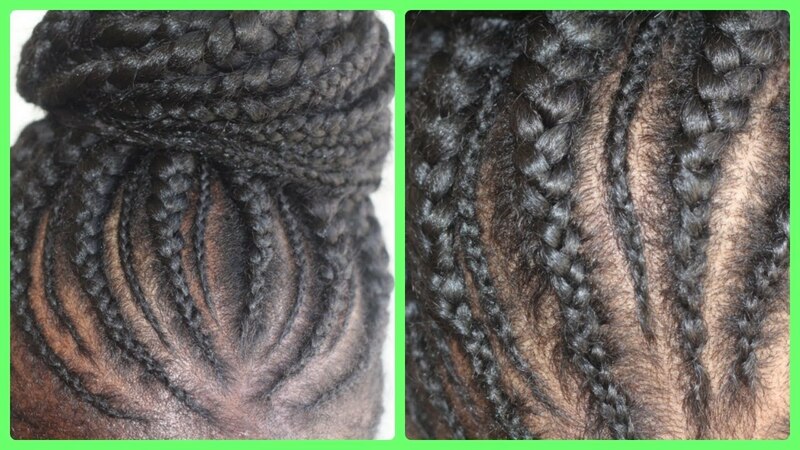 Prior to deep conditioning, I parted her hair in the way that I wanted it to go so once I deep conditioned and I rinsed I was already set to either start her hair, but in this case, I stretched her hair, but I already had it parted off in the way I want the box breaks to go to make it easier. If that makes sense. Also, people have emailed us and asked us, do you have to blow dry the hair for the styling aid to work? No, you do not. I’ve brought you in close up to her hair. As you can see her hair is very cotton and very frizzy. I’m going to add the perfect assist styling aid to her hair to the roots and to the ends. I added to the roots to fight frizz. In the second you’re going to see how the perfect assist styling aid moisturizes is her hair and adds shine to her hair. 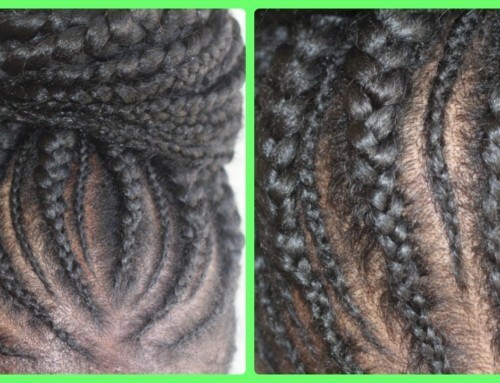 The shine matches the shine of the braid so that your natural hair does not look dull through the braid. As you can see I’m working it into her hair. 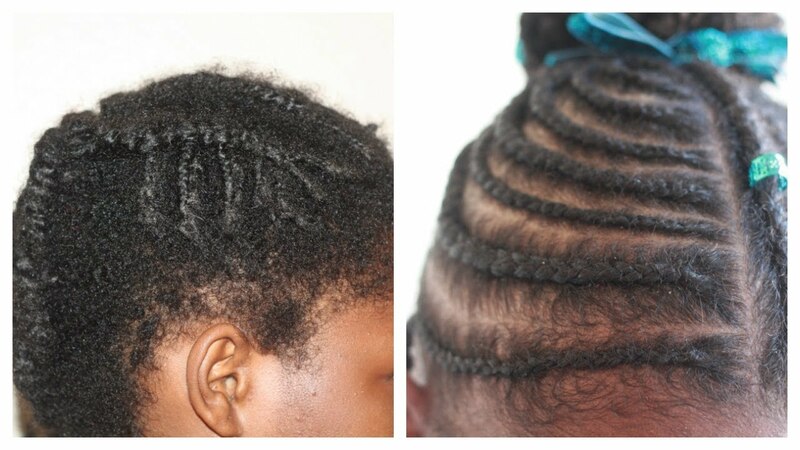 A lot of times you guys email us and ask us how do I keep my girls hair so moisturized this is how. This is my technique. I do not like a lot of steps and a lot of things to do. My technique is very simple. As you can see here, once I start braiding her hair, or you can see in the first braid you can’t see any frizz in her hair. This hair is very silky and very shiny. I’m not braiding her hair tight to the roots because she has never had box braids before, so I don’t know if she is going to be able to stand the weight of the braids on her hair. There’s nothing worse than doing somebody’s hair and they say oh my God my head is hurting and you have to take it down. 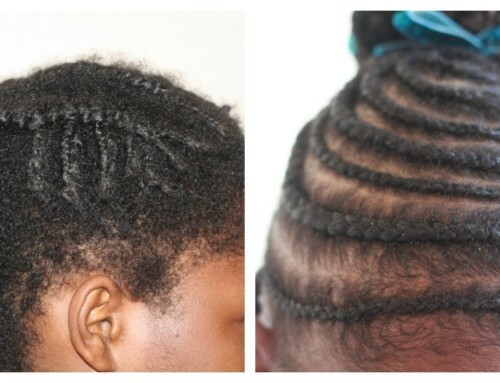 Again, I’m not braiding it tight to the roots because she has not had braids this long before. As I braid down the braid there is no frizz in her hair. That’s what the styling aid does. Her hair is just as shiny as the extension hair.